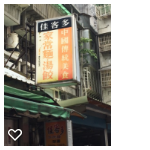 Taipei Notes: Jiakeduo -- traditional noodle and dumpling shop off Yongkang St.
Jiakeduo -- traditional noodle and dumpling shop off Yongkang St. This one of a few traditional eateries still surviving in the touristy Yongkang St. area. Just a few steps from Yongkang MRT Station Exit 5., it is a typical Taipei noodle and dumpling shop where you can get a seat without waiting in line even at noon on a Saturday. Jiakeduo roughly means 'Many Good Guests'. 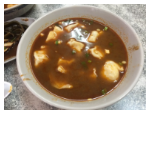 In addition to home-style noodles (jiāchángmiàn), it also specializes in tāngjiǎo or dumplings in broth, which are simply pork dumplings (shuǐjiǎo) in a mildly spicy broth. Perfect for a damp winter day or after a night on the town. Pork dumplings were one of my first big food discoveries in Taipei. Typically, they are either stuffed with pork and cabbage or pork and garlic chives (jiǔcài). They are usually served 'dry' and eaten with a sauce that you concoct yourself out of the condiments on the table. These will typically include vinegar, soy sauce, chili sauce, and sesame oil. I personally prefer plenty of vinegar with just a dash of soy sauce and a little chili sauce. The pork dumplings at Jiakeduo are by no means the best in Taipei, but they are better than average and do well in Jiakeduo's mildly spiced beef broth. The 'dry' noodles (gānmiàn) are also a good choice. Labels: food, Taipei, Yongkang St.